Read the basic information about rheumatoid arthritis, including common symptoms and treatment. According to the Centers for Disease Control and Prevention (CDC), 54.4 million or 22.7% of adults have some form of arthritis. Naturally, the numbers only show doctor-diagnosed cases and the total could be even higher if we take into consideration that many people didn’t see the doctor for joint pain and other symptoms. Of these 54.4 million, about 43.5% or 23.7 million have limitations in their activities due to arthritis. 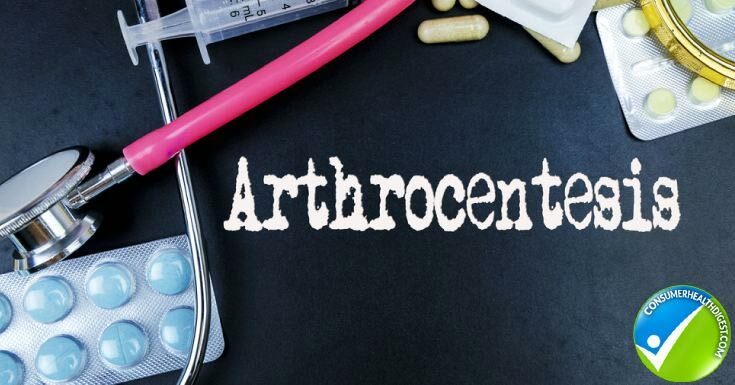 More than 100 types of arthritis have been identified, but osteoarthritis and rheumatoid arthritis are the most prevalent. Throughout this article, you’re going to learn more about the latter and find out causes, symptoms, treatment options, and other useful info about this condition. Rheumatoid arthritis (RA) is more than a common type of arthritis, it is an autoimmune disease that causes chronic inflammation of the joints. An autoimmune disease is a disease wherein the body produces antibodies that attack its own healthy tissues, leading to the deterioration and destruction of the affected tissue. The immune system mistakenly attacks a patient’s body. Generally, the immune system serves to protect us from viruses, infections, and foreign “invaders” that could jeopardize our health by sending an army of fighter cells to fight them. Under normal circumstances, the immunity can recognize your and foreign cells and knows what to fight in order to neutralize the threat. In autoimmune diseases, the immune system doesn’t recognize the difference between cells and attacks a joint or tissue by mistake thinking it is an invader. Since patients with autoimmune diseases have immune cells and antibodies in their blood that target healthy tissues, they also deal with inflammation. It is the chronic inflammation that contributes to joint pain and discomfort associated with rheumatoid arthritis, as mentioned above. In some cases, the effects of rheumatoid arthritis go beyond joints and damage other body systems including eyes, skin, lungs, blood vessels, and heart. While we are inclined to believe that every arthritis type is equal, the reality is different. What makes RA different than osteoarthritis is that it doesn’t occur due to age-related wear and tear. Instead, rheumatoid arthritis affects the lining of the joints and causes painful swelling that could lead to joint deformity and bone erosion. On the other hand, osteoarthritis is a result of cartilage (cushion between joints) breakdown thus leading to pain, swelling, and stiffness. Rheumatoid arthritis can also affect jaw and joints between very small bones in the inner ear. It is important to mention that distal interphalangeal (DIP) joints, located at the ends of the fingers, are generally spared and are unlikely to develop rheumatoid arthritis. The spine remains unaffected, with the exception of the cervical spine. The numbers show that 1.3 million Americans have rheumatoid arthritis and at least 1% of world population is diagnosed with this autoimmune condition. Remember, these figures only represent the number of doctor-diagnosed cases of rheumatoid arthritis, many people haven’t consulted a doctor for their symptoms and their condition still remains undiagnosed. In April 2017, the journal Rheumatology International published a report about the prevalence of this condition in the US in a period between 2004 and 2014 and showed the rates of RA are increasing. More precisely, the age-adjusted prevalence of RA ranged from 0.53% to 0.55%. The report also confirmed previous findings stating that between 1.28 million and 1.36 million people in the US have this condition. Some figures reveal that out of 100,000 people 41 are diagnosed with rheumatoid arthritis. Women are two to three times more likely than men to develop this autoimmune condition. Ladies tend to develop arthritis between the ages of 30 and 60, but it occurs later in men. Estimates show that patients with rheumatoid arthritis spend about $5,720 on treatment each year. Annual medication costs are usually between $15,000 and $20,000 per person treated with a biological agent. Getting the right treatment is of huge importance if we bear in mind that 60% of people with inadequately treated RA are unable to work 10 years after the onset of their condition. Rheumatoid arthritis is not a modern condition; it has been around for centuries. The Ebers Papyrus, an ancient Egyptian papyrus of herbal knowledge dating back to 1550 BC, described a condition similar to what we call today rheumatoid arthritis. The description is considered the first reference to this common disease which would correlate with the fact that some mummies from ancient Egypt had this condition too. In the ancient Indian culture, rheumatoid arthritis was mentioned in Charaka Samhita, a Sanskrit text on Ayurveda (traditional medicine in India). The text, written around 300-200 BC described a disease characterized by pain, joint swelling, and loss of function and mobility. One of the most outstanding figures in the history of medicine, a Greek physician Hippocrates described arthritis in 400 BC. His descriptions were about the condition in general, not focused on different types like RA. Between 129 and 216 AD, a Greek physician, surgeon, and philosopher in Roman Empire, Galen introduced the term rheumatismus and some scientists believe he was the first person to describe rheumatoid arthritis as a condition. For hundreds of years, physicians described conditions similar to rheumatoid arthritis. Every description helped physicians who came later to define the disease. The first series of patients with classic rheumatoid arthritis appeared in 1800 and their condition was described by a French medical student, Augustin-Jacob Landré-Beauvais in his doctoral thesis. 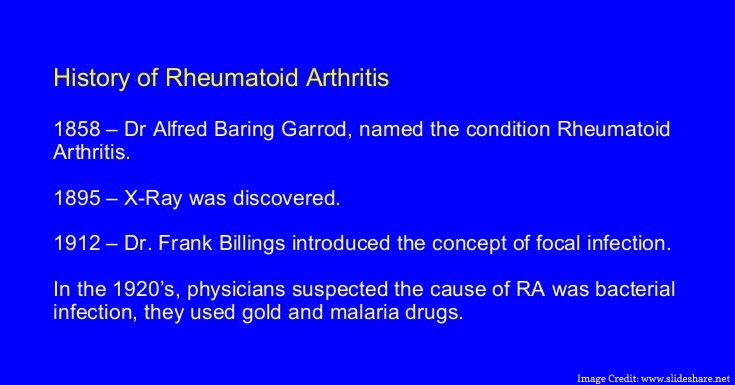 Fifty-nine years later, in 1859, an English physician Sir Alfred Baring Garrod coined the term rheumatoid arthritis. Until then, doctors and scientists used different terms such as arthritis deformans and rheumatic gout do refer to this condition. Gilbert Alexander Bannatyne, physician from Scotland, described the appearance of joints affected by rheumatoid arthritis in 1896. In 1932, the International Committee on Rheumatism was founded, but later it became American Rheumatism Association. Today, the organization goes by the name American College of Rheumatology. American physicians Bernard Comroe and Joseph Lee Hollander coined terms rheumatologist and rheumatology in 1940 and 1949 respectively. FUN FACT: Rheumatoid arthritis was also present in artwork, which only confirms the long history of the condition. The most notable work of art in relation to RA is Peter Paul Rubens’ The Three Graces from 1638. At a quick glance, the right hand of the left-most “Grace” seems poorly represented by the artist and somewhat disfigured. That being said, Rubens wasn’t the type of an artist to make such a mistake. Scientists explain he adhered to realism to depict his models in a realistic manner and the reason behind “disfiguration” could be rheumatoid arthritis affecting the woman’s hand. You can see the picture here. Rheumatoid arthritis, as described above, occurs when the immune system targets joint linings in the body. Due to the fact it is a long-term condition, rheumatoid arthritis also affects other tissues, but joints are usually most affected. When the immune system attacks your joints, it causes inflammation which thickens synovium, a layer of connective tissue that lines the cavities of joints, tendon sheaths, and bursae. Eventually, the inflammation can destroy the cartilage and bone within the joint. In patients with rheumatoid arthritis, ligaments and tendons that hold the joint together can stretch and weaken, thus making the affected joint lose its alignment and natural shape. This is the reason why rheumatoid joints appear disfigured or deformed. Genetics – Family history of rheumatoid arthritis also increases one’s likelihood of developing this condition. What’s more, scientists have identified some genes that are strongly associated with the risk of getting RA. According to the Arthritis Foundation, persons with HLA genetic marker are five times more likely to develop RA than their counterparts without it. Other genes related to rheumatoid arthritis include PTPN22 which plays a role in the progression and development of RA, STAT4 which regulates and activates the immune system, and TRAF1 and C5 that are associated with chronic inflammation. Bacteria – Infectious agents like bacteria could induce inflammation that leads to rheumatoid arthritis. The Science Transitional Medicine published a study which discovered that bacteria known to cause chronic inflammatory gum infections could trigger RA too. Viruses – Besides bacteria, viruses also play a role in the development of rheumatoid arthritis. For instance, patients with RA tend to have a higher concentration of antibodies to the Epstein-Barr virus compared to general population. Trauma – Physical trauma is also one of the major causes that influence the development of rheumatoid arthritis. It is important to repeat that a combination of different causes plays a role in the development of this condition, rather than one specific problem such as bacteria or virus. Smoking – The unhealthy habit is a risk factor for cardiovascular diseases, many cancers, severe menopause symptoms, faster aging process, many other negative health outcomes, and rheumatoid arthritis is not an exception. 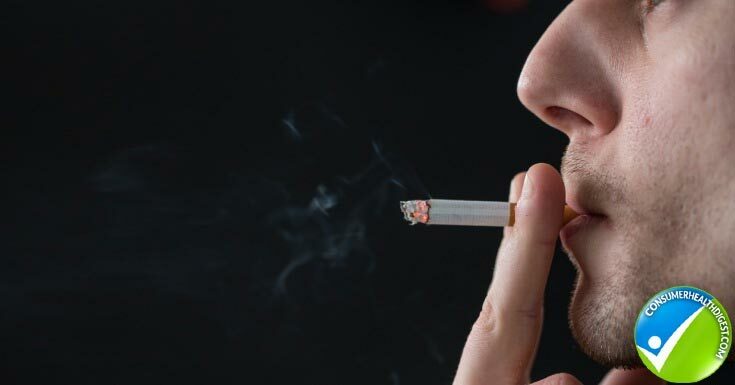 A growing body of evidence confirms that cigarette smoking contributes to the onset and severity of RA, but it also influences the efficacy of the treatment. Even light smoking can raise your risk of developing this condition. Exposure to tobacco smoke and nicotine plays a role in increasing the level of rheumatoid factor, which is an antibody or protein. 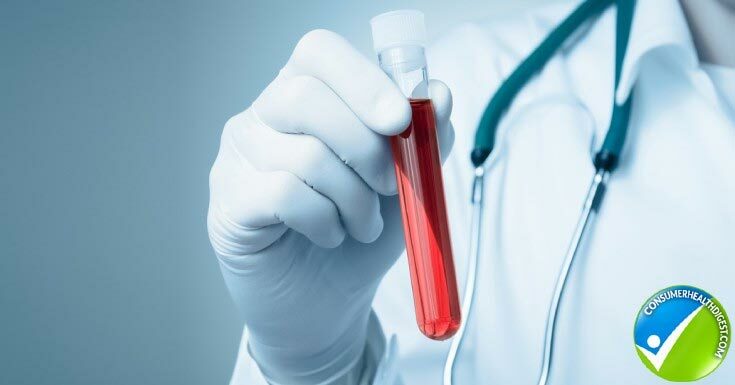 The presence of the antibody in a patient’s blood indicates something is wrong with the immune system. Overweight/Obesity – About two-thirds of patients with rheumatoid arthritis are overweight or obese. Excess weight is a major risk factor for a number of diseases and health conditions, including different types of arthritis. In this case, extra fat releases proteins that contribute to inflammation. Fat encourages the release of cytokines, cell signaling molecules that aid cell-to-cell communication in immune responses and stimulate the movement of cells towards the sites of inflammation, trauma, and infection. Unhealthy Diet – Consumption of sodas and sugar-laden beverages and overall unhealthy diet lead to weight gain, contribute to inflammation, and increase the risk of rheumatoid arthritis. Symptoms of RA can come and go and their intensity varies from one person to another. Patients who have the condition experience both physical and mental or emotional symptoms that affect their quality of life. In the earliest stages, patients usually feel pain and tenderness in affected joints. These symptoms are common for injuries and different types of arthritis. When the affected areas are inflamed, rheumatoid arthritis is active and a patient experiences a number of symptoms. When the inflammation decreases, the disease is inactive i.e. it’s in remission and a patient doesn’t feel symptoms associated with RA. The length of active and inactive periods varies from a few weeks to a few months. 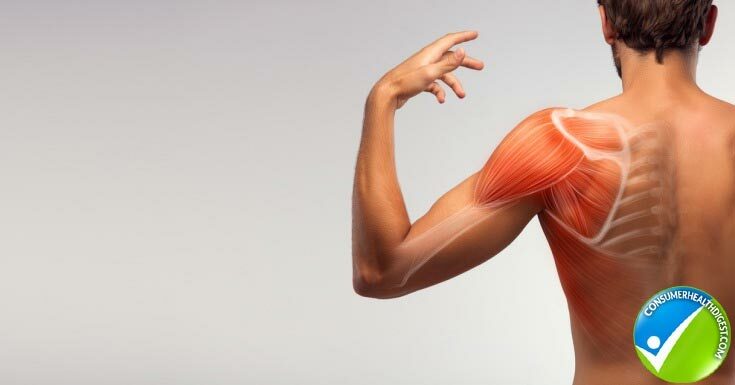 Stiffness – The affected joint doesn’t move as well as it should, especially in the morning. Joint stiffness is a common symptom of arthritis, but compared to other types of joint conditions, patients with RA need more time to alleviate stiffness and move the affected joint. In some cases, it can take up to an hour before joints feel loose again. The effects of rheumatoid arthritis also extend to other parts of a patient’s body. For example, the condition can affect eyes and induce dryness, pain, sensitivity to light and impaired vision. Patients can also experience dryness and gum irritation in their mouth, shortness of breath due to inflammation and scarring in lungs. In addition, RA also affects blood vessels where inflammation damages nerves, skin, and other organs. Despite the fact that rheumatoid arthritis is a joint disease primarily, it can affect many other parts of the body. This only shows that timely diagnosis and adequate treatment are essential for patients in order to keep symptoms at bay and prevent complications. Heart Problems – This is the point where rheumatoid arthritis becomes even more complex. Symptoms associated with lung complications (shortness of breath, chest pain, and cough) could also indicate the existence of heart problems in a patient. Low Blood Platelet Count – Blood platelets are colorless blood cells that are vital for blood clotting effects your body needs to stop blood loss. Although this isn’t a direct complication of RA like others, it is still important to mention that in some instances the condition can lead to low blood platelet count and some medications can induce the same effect. Lung Disease – Approximately 10% to 20% of RA patients develop  chronic lung disease. Not only does rheumatoid arthritis-related inflammation cause pulmonary fibrosis (lung scarring), but it can also lead to blockage of the small airways and high blood pressure in the lungs. In some instances, drugs that are formulated to treat RA inflammation can male lining of the lungs inflamed. Signs of lung complications include shortness of breath, chest pain, fever, and persistent cough. Lymphoma – RA increases the risk of lymphoma, a cancer of the immune system and white blood cells. Nerve Damage – In patients with rheumatoid arthritis can experience neck pain or balance issues which are a telltale sign of nerve damage. RA generally doesn’t affect the spine, only the cervical area or upper part of the spinal cord. Osteoporosis – a condition wherein bones become brittle, weak, and prone to fractures. In patients with RA, it is the inflammation that could lead to osteoporosis but some medications could also cause bone loss. A common mistake that most people repeat is waiting for joint soreness, swelling, or pain to go away on their own. These symptoms are attributable to many other conditions and the best way to know what’s going on is to see the doctor. If joints feel sore, tender, or swollen for weeks then you should definitely schedule an appointment at doctor’s office. Make sure you describe the symptoms in detail. Based on the information provided and physical exam, the physician may already suspect you have rheumatoid arthritis, but he/she will probably order different tests to rule out other conditions. Your doctor may also ask questions about family history of joint-related diseases, whether you had trauma or injury before, among other things. During the physical exam, the doctor will check joints for warmth, swelling, and redness and proceed to assess your muscle strength and reflexes. Tests that help the doctor determine whether you have RA include. Imaging Tests – Different imaging tests allow the doctor to have a closer look into the affect joints and surrounding tissues and make a more precise diagnosis. MRI and ultrasound reveal the severity of condition while X-rays track the progression of RA in joints over time. A single physical or lab test to decisively diagnose RA doesn’t exist. The above-mentioned methods are mainly performed to rule out other conditions primarily because symptoms related to RA are also similar to those of other conditions. Due to these challenges, it is highly recommended that only a rheumatologist or a physician with extensive experience with these conditions makes a diagnosis. At this point, there is no cure that could eliminate RA and cure it entirely. The goal of rheumatoid arthritis treatment is to reduce and prevent long-term complications, alleviate symptoms, put the disease in remission by decreasing inflammation, prevent joint and organ damage, and to improve physical function, and overall quality of life of a patient. Cognitive Behavioral Therapy – Rheumatoid arthritis has a negative influence on a patient’s quality of life, and this also includes their mental or emotional wellbeing. Evidence shows that RA patients are twice as likely to suffer from depression as the general population. Stress, anxiety, depression, happen when an affected person is still trying to cope with their health problem, especially when symptoms are severe. It can be difficult to get used to the fact that you have to do things differently from now on, even your performance at work decreases. Medications – Based on the severity of the condition, your doctor may recommend non-steroidal anti-inflammatory drugs (NSAIDs), steroids, or disease-modifying anti-rheumatic drugs (DMARDs). The NSAIDs reduce inflammation and alleviate pain and they are available in the prescription or over-the-counter form. Steroid medications are prescribed to reduce inflammation and pain while decreasing joint damage. Lastly, DMARDs slow down RA progression and prevent the condition from causing damage to joints and other tissues in the body. You can also go for a topical cream such as Penetrex which could provide temporary relief from the joint pain. Physical/Occupational Therapy – Symptoms of RA limit a patient’s range of motion and prevent them from performing even the most ordinary tasks they used to do with ease. An important treatment aspect is a physical or occupational therapy where a therapist teaches you exercises that improve flexibility and decrease the severity of symptoms. The physical or occupational therapist may also recommend new ways to perform everyday tasks to alleviate pressure on the joints. Nevertheless, you can choose this Turmeric Curcumin Plus to deal with the arthritis pain as well as help to increase the metabolism rate. Surgery – In cases when pain and inflammation become unbearable and other treatment approaches turn out to be ineffective, surgery is a viable solution. Surgical procedure dramatically improves pain and mobility. Projoint Plus Review: Does This Joint Pain Product Really Work? How To Manage Rheumatoid Arthritis In Daily Life? Weight Loss – Overweight/obesity is a major risk factor for RA, but it also aggravates the symptoms of this condition and makes the treatment less effective. Get Enough Sleep – Patients with RA experience trouble sleeping due to pain and stiffness. What’s more, lack of sleep aggravates the symptoms of rheumatoid arthritis. 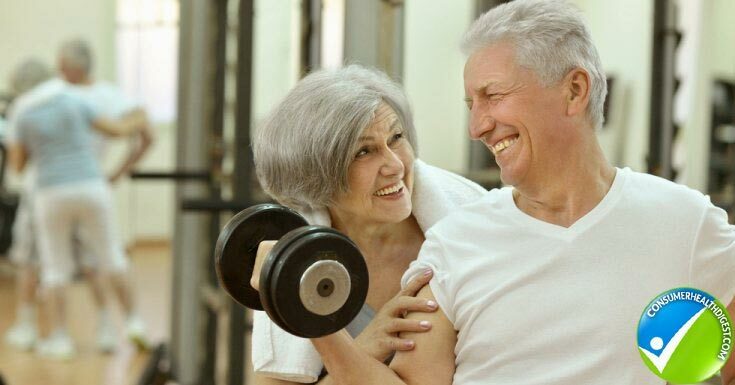 Exercise Regularly – When you have rheumatoid arthritis, exercise is probably the last thing you want to do, but it is incredibly beneficial. Regular physical activity helps maintain joint mobility and it improves mood and sleep. In addition, exercise slows down the accelerated loss of muscle mass, a common problem in RA patients. This is why physical therapy important, your therapist will recommend the best exercises to do. Generally, you should avoid high-impact activities that put too much pressure on your joints and focus on low-impact exercises that improve mobility and alleviate stiffness. Limit The Exposure To Pollutants – Air pollution and exposure to harsh chemicals, even in your household, are bad for your overall health and contribute to RA. Since it would be impossible to avoid exposure to pollutants and irritants entirely, the best thing you can do is to limit it. Also, whenever possible try to avoid silica and asbestos. Consume Anti-Inflammatory Foods – Unhealthy diet contributes to inflammation which worsens symptoms. Swap unhealthy foods for healthier alternatives and opt for nutritious foods abundant in vitamins, minerals, antioxidants, fiber, and enzymes that your body needs to function properly. Enrich your menu with fruits, vegetables, Omega-3 fatty acids, olive oil, walnuts, and other items that are known for anti-inflammatory effects to ease the joint pain associated with RA. Hot And Cold – One of the easiest management options for joint pain and stiffness is the hot and cold treatment. Warm compresses alleviate stiffness which usually occurs in the morning after waking up or when you try to move after prolonged inactivity. Use Assistive Devices – Having assistive devices around is a great way to manage RA and improve the overall quality of life. A wide range of these devices are available to help you cook, get dressed, garden, write, open jars, bathe, drive etc. Supplements – The use of dietary supplements for arthritis relief is popular today. 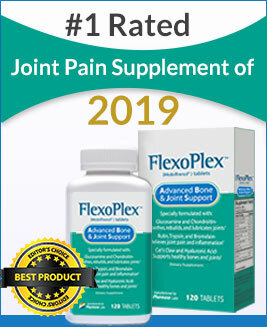 These products contain natural ingredients that work to alleviate inflammation, decrease pain, and deliver much-needed nutrients that joints need for healthy function. Since not all products work equally, you should consult your doctor to recommend supplement that is truly effective. However there are so many reviews available online, reading Relief Factor reviews may help you to understand how this supplement is effective. What are The Expert Views on Rheumatoid Arthritis? Rheumatoid arthritis is a truly complex condition that sparks numerous debates among doctors and scientists. At this point, they all agree about one thing – there is no cure for rheumatoid arthritis, but it doesn’t mean things will remain unchanged in the near future. Scientists are constantly working on the studies whose goal is to find a way to successfully treat the condition. A team of scientists at the University of Illinois came pretty close to discovering the new therapeutic potential for RA. They carried out a study which was published in the Annals of the Rheumatic Diseases and discovered that RA is biochemically triggered in patients with genetic predisposition to the disease. A common symptom of the condition is swelling which occurs when different cells accumulate within the joint. Since these cells need oxygen to stay alive, they require formation of abnormal blood vessels. So, the group of researchers found that formation of these blood vessels occurs when two proteins CCL28 and its receptor CCR10 meet. This discovery gave birth to a whole new idea for therapeutic approach and scientists are now trying to find a way to prevent these two proteins from the meeting. That would prevent all chain reactions that eventually leads to rheumatoid arthritis, but it would also pave the way to a successful treatment. The October 2017 issue of the Journal of Autoimmunity published a study found that vitamin D could prevent rheumatoid arthritis from developing, but scientists also consider it as a useful clue that could change the way RA is treated. Scientists from the University of Birmingham discovered that compared to a blood sample from the same patients, the rheumatoid joints were less sensitive to vitamin D. Immune cells from the affected joints are strongly affected by inflammation and sunshine vitamin helps keep at bay. Now, scientists want to use this discovery to find a way to correct or bypass the vitamin D insensitivity in immune cells from the affected joint and treat the condition effectively. While we’ll have to wait a while for scientists to invent a cure for rheumatoid arthritis, the management of this condition will become easier as science, medicine, and technology evolve. 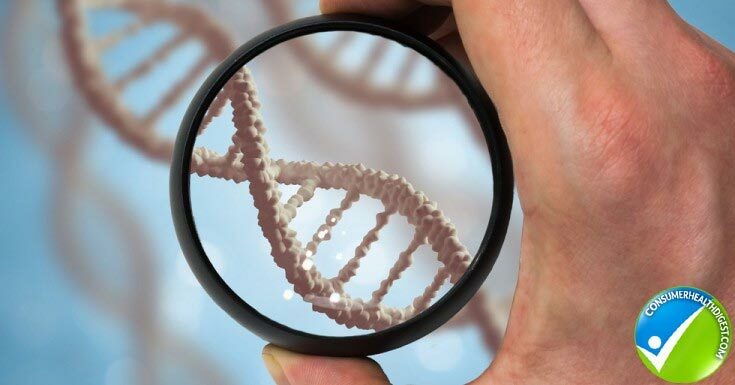 Since genetic predisposition is a major risk factor for RA, understanding the genetic factors involved in this condition will help doctors identify treatments that will work best for a specific patient. In the near future, the doctor will be able to recommend the most effective treatment immediately after making diagnosis primarily because studies focus on identifying genetic markers involved in the development and progression of the disease. The primary reason why we have no cure for rheumatoid arthritis at this point is the fact the underlying cause is unknown. Until scientists discover the exact cause that triggers the immune system to attack joints, we’ll have to make management easier. Fortunately, we witness the rise of assistive devices and discoveries that shape up our understanding of the disease. For instance, the discovery about vitamin D’s ability to prevent RA indicates that obtaining sufficient levels of the micronutrient can help you avoid this condition. Rheumatoid arthritis is an autoimmune condition whose underlying cause is unknown, but multiple factors play a role in the development or progression. Although at this point there is no cure for the disease, multiple treatment and self-management options can help improve quality of life. Science and technology evolution keeps the dream of finding a cure for RA someday alive. Nevertheless, you can always alleviate the joint pain by using a pain relief product such as Omega XL.